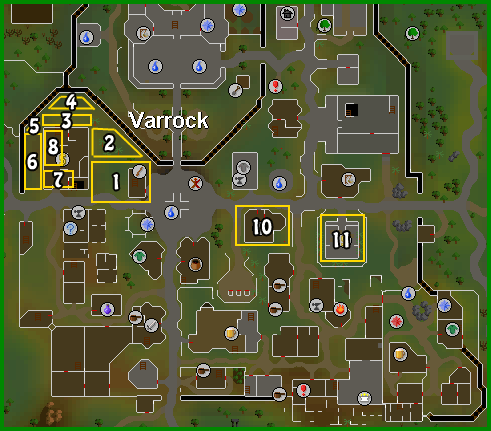 World 1 is one of the best trading worlds for non-members. Just about all non-member stuff, is being sold here. 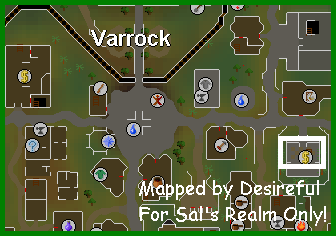 This guide will show you the best places to trade, in each of the main trade cities, including Varrock, Falador, Draynor Village, and Al Kharid. 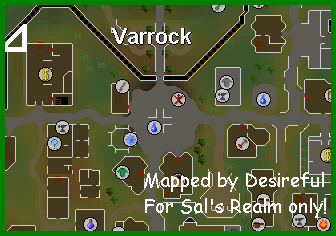 Varrock is the best trading place in RuneScape, since most rune items, runes, god armors, rune essences and rare and discontinued items are being sold here. 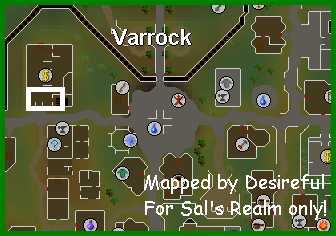 You'll notice that the above map has different areas marked with different colors. 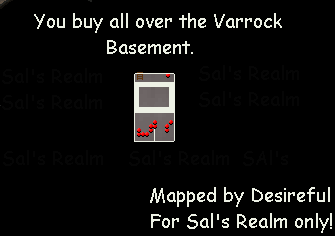 Each section is numbered, and they indicate where a certain group of item can usually be bought or sold. 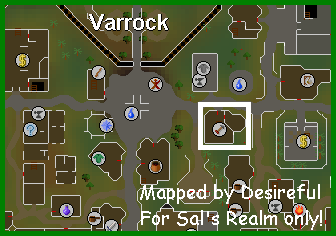 This place is a very good place for trading rune items, such as rune scimitars, rune kites, full rune etc. At this place, mostly sold are Treasure Trail items including Black (g), Black (t), Adam (g) and Adam (t). 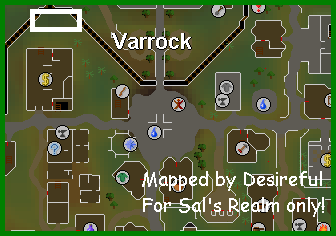 This place is mostly used for selling rare items, such as Santa Hats, Halloween Masks, Easter Eggs and others. 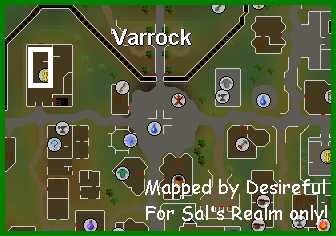 Here you can buy God armors, such as Zamorak, Saradomin, and Guthix. 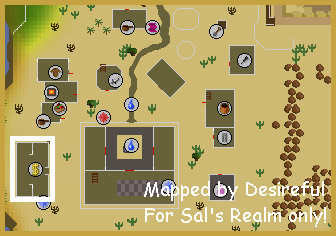 This area is mostly used for selling Treasure Trail items like Rune (g), and Rune (t). Here you can buy Yew Logs. Here, you can buy just about all the Runes you need, but mostly Nature runes, Law runes, Chaos runes, and Death runes. 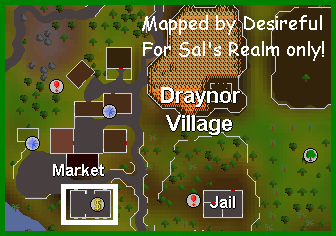 At this place, mostly Big Bones and Lobsters are sold, but other random stuff like rune items, amulets, and rings can also be traded. 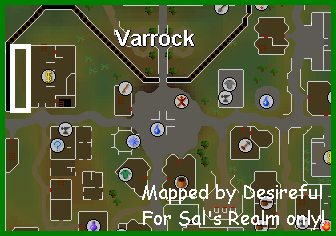 This place is in the basement of the Varrock west-bank. This place is good for bank sales, and a lot of other random stuff. 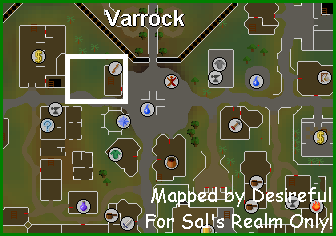 This is Varrock's arrow shop. You can buy all non-member arrows here. 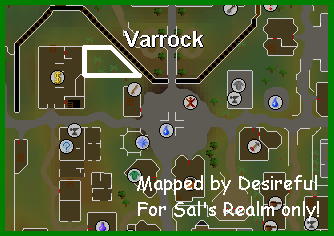 Varrock east bank. 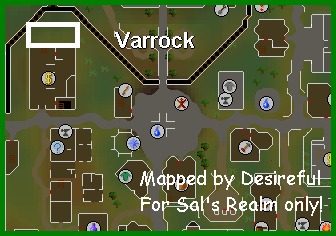 Since this bank is very close to the rune essence mining place, a lot of rune essences are being sold here. 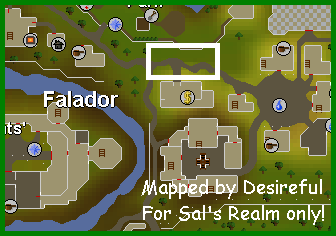 The best bank to sell ores and bars is the east bank of Falador. The west bank is not really a good buying and selling place. This is a very good place to buy and sell willow logs and woodcutting axes. You can buy cowhides here, and sometimes even soft and hard leather.